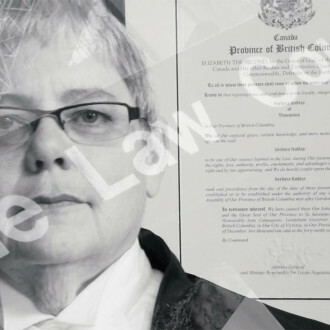 LGBTQ’s rights – In Particular, barbara findlay. I want Canadians to know the names and stories of the people who appear in this film. On July 5th of this year, an outdoor screening of the documentary “in particular, barbara findlay” took place in Parc de L’Espoir. As part of the Aires Libres Fest, the night was attented by a mix of regulars and curious passers-by. We were excited to have the documentary on our program this summer because of what it presents: a real insight of findlay’s battle for LGBTQ’s rights and a dive into Canada’s queer history. / Why was it important for you to create a documentary about barbara? Because she was and continues to be so ahead of her time. 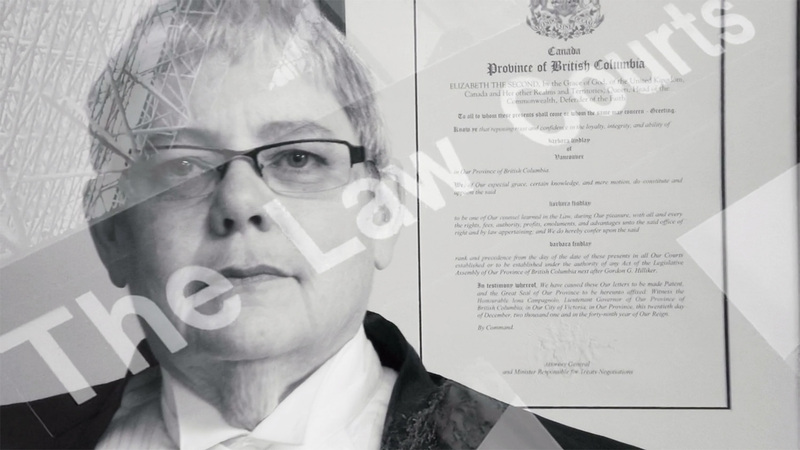 barb’s story IS the story of how LGTQ2S got human rights in this country. It is not just what she has done but how she has done it that makes her story such an essential piece of Canadian history that should be shared. Plus she is such a compelling, thoughtful and intelligent individual that opens possibilities and my own imagination every time I speak to her or read about something that she is working on. / Was the aspect of queer history in Canada important in making the doc? Absolutely, I don’t think we know our own history because gay people don’t necessarily have gay children so there isn’t the same socialization or education as other cultural communities. We have to go searching for our history, we are not taught it as children. The generation before me did do much and lived through so much in silence, invisibility and criminalization that I have a hard time wrapping my head around how much has changed in 30 years. Rights are never simply handed over and in order to learn how to more forward and create the country that we want to live in we need to see and hear from the people who fought, strategized and demanded those rights. If we want to look at social change, these are our role models and deserve a lot more gratitude for the freedoms that we enjoy today. / What do you want people to learn or remember from the project? I want Canadians to know the names and stories of the people who appear in this film. They’ve all done so much that they could have entire movies about each of them. I want people to watch the film and be inspired! That we keep listening and reflect how to be better allies. To carry the torch forward where others have left it for us. To talk to and respect our elders. That every group that has fought for recognition and freedom does its own defining and excluding at the cost of others. That we know our own history and learn from it. And as barb says so succulently in the film, “That until we work as hard against the ways that we are privileged as the ways that we are oppressed, there will never be such thing as equality.” That we should never take our freedoms for granted or neglect the fact that not everyone has the ability to live openly or in safety.